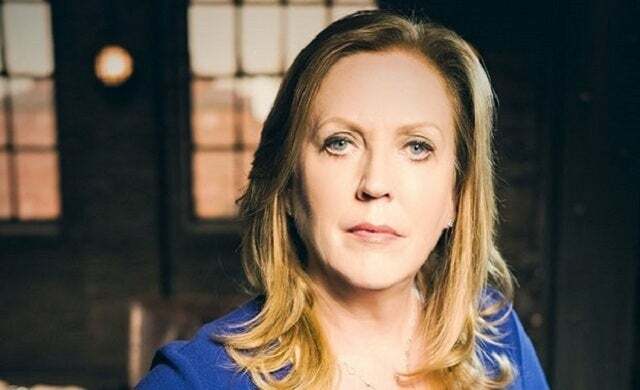 A veteran in the business world thanks to her 40 odd years in the banking sector, Jenny Campbell’s role of reality TV star is one she’s acquired rather late, and somewhat unexpectedly, in her career. Working for the Royal Bank of Scotland (RBS) for 32 years across a variety of roles, Campbell purchased ATM machine operator YourCash in 2010 – before selling it to US firm Euronet for an eye watering £50m in 2016. Announced as a replacement for Sarah Willingham on Dragons’ Den in summer 2017, the former Vitalise Business Woman of The Year has been hot off the mark – and has already backed a number of businesses on the show. You’re one of the newest Dragons alongside Tej Lalvani, what makes a great pitch? And what are the cardinal sins that businesses should look out for when pitching for investment? “I think [a great pitch] needs to be concise but also have the appropriate selling points in it for the investor. I call it the elevator pitch, so in four minutes what are you going to say that really hooks the investor in. “This should cover, very simply, what is it you’re selling, what’s the market, what’s the consumer demand, is it a new unique product, or does it follow market trends? “You want to make sure you have the investor asking the appropriate questions, so they can learn more. “This isn’t valuing your business as if you’re going to do some crowdfunding, or if you’re going to sell the business, it’s about hooking your investor in. How different is Dragons’ Den from what we see as viewers and what you experience as an investor? “It’s a very long process and the viewers probably don’t really appreciate that. We have no idea what’s about to come through the doors at all, in terms of product, people, anything. We’re completely oblivious. “Then the cameras start rolling and they don’t stop. There isn’t a pause, for us to repeat a question or for the contestants to repeat an answer at all. “The cameras only stop when the pitch is finished. A pitch will typically last an hour – and some of them even two hours. What type of start-ups entering the Den are you likely to invest in? “I’m a generalist. I came to the Den with a background in finance and banking so I’m not into any particular sector like some of the other Dragons. I’m looking for something which I can relate to, both from a personal perspective and a consumer perspective and that has potential. Who’s your favourite Dragon to work with? “To work with, or to get on with, are certainly different questions. “Tej and I did a lot of co-investing in the past series, and that was really about tactics. “So, here’s the new Dragon, how do we compete against brand leaders? Well, lets offer a two-for-one type thing. That was a tactic of new Dragons. “Tej and I have done work outside of the Den, through due diligence and so on, and he’s a lovely professional man. “In terms of on the Den, I sit next to Touker, and he’s just a whole load of fun. “We have a lot of side conversations and a lot of animation between us, and cajoling, about getting into certain investments, where perhaps it doesn’t suit our portfolios. Did you ever have any hesitation about becoming a Dragon? “I certainly thought it through carefully when I got the offer to come on. “Initially when I was invited to come in for a screening, I was like a scatty little girl. I always say that whenever anyone puts themselves forward for interviews or similar opportunities, just to ‘go for it’ and you don’t have to make a decision until you’re actually offered the role. “I went forward with enthusiasm, I was competing against, I believe, six or seven others, knowing that I would do a proper analysis once I was offered the role – and would have been prepared to turn it down if I didn’t feel it was right for me. “When it was then offered to me I did think very carefully about how it would affect me, the family, my business that I was still working in at the time, the commitment to the filming schedule. “I find being an arms-length investor quite disingenuous. When’s the right stage for a start-up to enter the Den and seek investment? “Businesses can come at various stages but you really don’t want to come too early. Sometimes we have entrepreneurs come in and everything they say is based on future projections, they haven’t tested the market. “I would say you need to have seen six months’ worth of sales or at least a sales pipeline to prove there is a market for your product. “So, I think entrepreneurs need to think strategically about the funding required to support their growth plans. Any particular sectors you’re finding exciting at the moment? “Even though I tend to stay away from them, I think the tech and fintech sectors are the most exciting sectors – but it’s like finding that needle in a haystack in terms of the businesses that’ll actually work. “Everyone’s tech experiences are changing phenomenally, so it’s very exciting, but also very frightening in terms of the amount of cash you’ll burn in that sector. What makes the UK a great place to start and grow a business? “I think there’s been a revolution in entrepreneurship and with start-ups with all of the support from the government and funding bodies going around that. “There are more opportunities to get involved in innovation hubs, accelerator programmes and funding opportunities than there’s ever been before, it’s a hugely positive environment for start-ups. “That being said, I think the counter message to that is, that the young generation are so enthusiastic about working for themselves and being entrepreneurs that some of them are not really going to make it, frankly. “It’s like the budding footballers aged nine who want to be signed by Manchester United, but which ones will actually make it through and become a celebrity? Do you think some people concentrate too much on living an ‘entrepreneur lifestyle’ and not on their actual business? “Yes, there’s kind of a bit of glamour now in people saying ‘I’m an entrepreneur’ or ‘I’m the CEO’ of whatever business, even when they haven’t really got a business that produces sales, profits or cash. “I think there is a little bit of a kudos without the reality check of what being an entrepreneur and bringing a product and service to market means. Both politically and economically, these are uncertain times, what would you say to people who are apprehensive about starting a business in 2018? “Brexit is going to go on for some time and I don’t know if anyone knows what it really means so people will be cautious because of that. “But there’s always things around the corner that you’ll have to deal with as an entrepreneur and you have to have the resilience to be able to ride those waves. You started working at 16, is going down the business route an option for someone who doesn’t feel education is right for them? “I’ve had that question asked a lot. I still did formal education but I did it alongside work, and I still qualified as a banker aged 23. “So, I didn’t ‘shun’ formal education, I decided to work whilst in education so I think there are different routes. “There was a period when everyone was pushed through the university tube and you were almost seen as a second-class citizen if you didn’t do that – but thankfully we’ve come out the other side of that which was probably a product of the recession. Do you think businesses should start putting more emphasis on hiring apprentices rather than graduates? “I think it should be a balance. “When I was running a very large company I was bringing in people who were 16, 18 and 23 – and I’d get all kinds of different perspectives. You’re a big supporter of women in business, what are the biggest challanges facing female entrepreneurs today? “I think the biggest barriers to female entrepreneurs are the women themselves. There is no such thing as glass ceilings, only sticky floors. “Generally, women are inherently more cautious about pushing themselves forward and being ambitious because we have a natural tendency to want to do something well before we move onto the next level. “Whereas the males tend to be a bit more ‘go-getty’ even if they’re only 80% ready. “I always use the story about if I was interviewing someone and the job had a pay scale of £40,000-£50,000, the male would always say he was the absolute best for the job and look for £50,000. “The female then perhaps wouldn’t sell herself quite as well and be grateful if she got £45,000 and would look for more flexible working probably. You work very closely with two charities, Young Enterprise and Tomorrow’s People, how difficult is it to juggle philanthropy and business? “When people talk about a work life balance I think that sounds like they’re separate, but for me, everything is just intertwined. “After I’m finished talking to you, I’m going to Manchester to see my family for Christmas and yesterday I was working with a business I invested with. Would you ever consider a career in politics? There is a catchphrase on your website which reads “live by corporate standards but breath like entrepreneurs”, what do you mean by this? “When I walked into Hanco back in 2006, which had grown phenomenally from one ATM to 6,000, so a very successful business, I came in and it was completely out of control. “It had overgrown all its IT systems, there was no control or processes, and the quality of the people in the business was just dire – it was spiraling to a very bad place. “But I was able to overlay all of the disciplines of a corporate entity into that business, so we became more controlled and delivered better customer service and better products. “So, these are often the growing pains of a small business, and entrepreneurs need to make sure they’re suitably prepared for growth. Finally, if you could turn back the clock, would you change anything about your entrepreneurial journey? “If I could really wind the clock back totally, around age 10, I would have focussed harder on my sciences in school and become a vet! “Would I change my entrepreneurial journey? I’d have to say no because it’s brought me lots of success. “It wasn’t something I planned, I thought I was going to be a banker for 40 years, but I went to Hanco in 2006 and from that came an opportunity to buy a business, run it and then sell it.